As the cold inches back into the new season, you need to prepare yourself for power consumption that involves heaters and other home appliances. With longer nights this season, expect to use your indoor lighting more. If you don’t want to spend too much on lights, use the natural brightness of sunlight to illuminate your home. One way of doing this is by opening your curtains and letting the sunshine into your house. If you already have a sunroof, that’s even more fantastic! In addition, because the fall is colder than spring, use the warmth of the sun as your natural heater. In short, make the most out of the sun. Because your home lighting will be used more during fall and winter, you need lamps and bulbs that will last long. Make sure to replace any busted bulbs with LED lamps. Aside from its long service hours, LED lamps use significantly less energy than old incandescent bulbs. The heater will definitely become one useful device during the fall, and especially more during winter. However, you cannot use it efficiently if there are entry points for the cold outdoor environment. This includes cracks and gaps on windows, and the gap under the door. You may buy caulk, ready-to-use window seals, or weatherstripping materials from your local hardware store. After being on standby for some time, your heater may need to be checked before using it again. Before fall sets in, make sure to schedule servicing for your heaters. The same goes with heat pumps and furnaces. 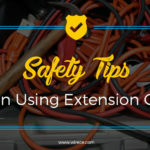 While you’re in the momentum of having your electrical equipment serviced, it’s also a good idea to schedule an evaluation of your entire electrical system. That way, you can address potential electrical issues before the new season kicks in. 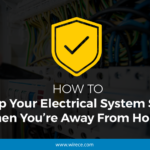 Feel free to call us at Wire Craft Electric, because electrical servicing and electrical home safety inspections are just some of the services that we can help you with. 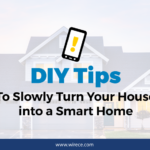 As with any other season, you can always optimize your electricity use by knowing how to handle electrical appliances and manage your indoor environment. We hope the tips above will help you enjoy the fall and save big at the same time.